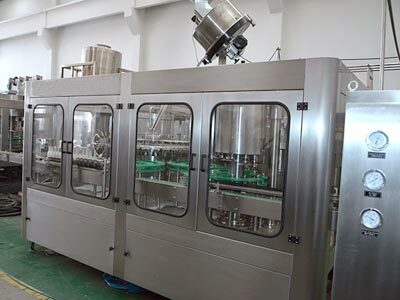 Carbonated beverage filling machinery is WELL Machinery introduced advanced foreign technology and combined with the company’s many years of production experience, research and development to create new products. 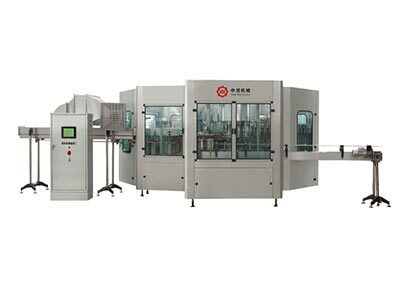 The carbonated beverage filling machinery is suitable for filling glass bottles of carbonated beverages such as cola, sprite, and sparkling soda, and has the functions of glass bottle rinsing, filling, and metal crown cap pressing. Steam beverage filling machine is suitable for filling glass bottles of carbonated beverages such as cola, sprite, and sparkling soda, and has the functions of glass bottle rinsing, filling, and metal crown cap pressing. The carbonated beverage filling equipment is suitable for filling glass bottles of carbonated beverages such as cola, sprite, and sparkling soda, and has the functions of glass bottle rinsing, filling, and metal crown cap pressing. The main part of the carbonated beverage filling equipment is made of high-quality stainless steel, with reasonable structure, advanced technology, and simple operation. 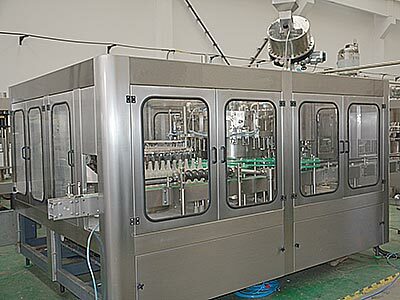 It is an ideal choice for small and medium-sized beverage factories. Juice hot filling machine is WELL machinery in the introduction of foreign advanced technology,and carry out the transformation and innovation of products. This series of fruit juice hot filling machine integrate washing, filling and capping in one unit, can be used for different kinds of fruit juices and tea hot drink production. This glass bottle juice washing filling and capping 3 in 1 machine is based on advanced technology overseas and designed according to the filling processing demands of juice, water etc. 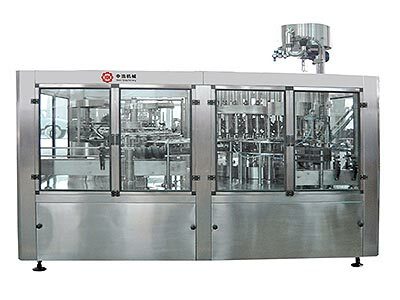 Glass Bottle Juice Washing Filling and Capping 3 in 1 Equipment suitable for products: fruit and vegetable drinks, tea drinks, functional drinks, dairy drinks, etc.